Only eight tracks in and Fuzzy Sun appear to carved themselves their own niche. Whilst they may reside in a grey Northern town their sound generates thoughts of sun-drenched Californian shores with their impossibly warm melodies, heart-melting vocal harmonies and their ability to craft songs that grab you immediately. They feel instantly familiar on first listen, but scratch further and it’s a mood they’ve tapped into rather than simply replicating and revisiting someone else’s tunes. 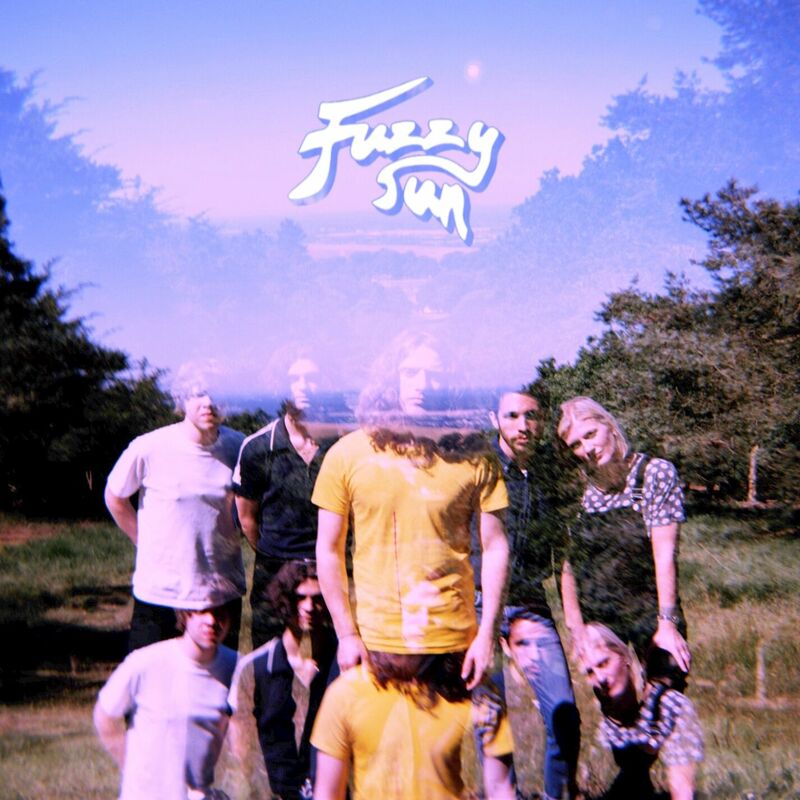 Right from the chiming opening riff of Eve and the opening line of the chorus “I’m enticed by your kiss and the taste of your lips”, Fuzzy Sun make a seductive play for your attention and your ears. Kyle’s lead vocals are clean, crisp and timeless in their delivery, leaving the listener defenceless against their charm offensive. I’ll Be The Man is similarly direct, breaking down your defences with a hook synth line at the start that leaves you open to lines like “I’ll be fine if you’re by side” that are so simple on paper but pull just the right emotional cords. Lead track Heavy has Daisy’s vocals in the near distance in the verses and combining to lift the chorus. For something with such beautiful impact it’s a method, male and female vocals together, that too few bands use and one of the reasons Fuzzy Sun hit you hard despite the soft, erm fuzzy, outer appearance of their approach. December is them stripped back, a reflection of being alone as the cold dark nights draw in, heartbreakingly poignant in moments due to its raw honest emotions before more instruments kick in and leave you with the sense that everything might just be alright in the end. Fuzzy Sun are on Facebook and Twitter. They play Neighbourhood Festival in Manchester this Saturday (6th October) before going on tour with Blossoms in December at Glasgow O2 Academy (3), Sheffield O2 Academy (4), Nottingham Rock City (5), Birmingham O2 Academy (7), Manchester Victoria Warehouse (8, 9), Southampton O2 Guildhall (11), Bristol O2 Academy (12) and London O2 Brixton Academy (13).